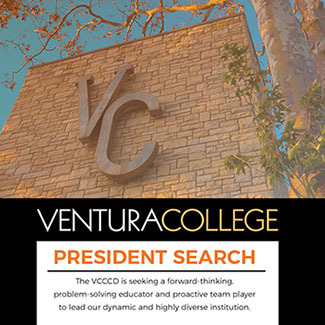 The Ventura County Community College District has opened its search for Ventura College’s next President. The Ventura County Community College District’s Board of Trustees and the Ventura College campus community are seeking a forward-thinking, problem-solving educator and proactive team player to lead our dynamic and highly diverse institution. See President Search website for details.